إذا كنت تبحث عن عقار بموقع جيد في المدينة، فقد وجدت ضالتك في Vibe Hotel Carlton Melbourne. يقع مركز المدينة على بعد فقط. ويمكن الوصول إلى المطار خلال دقيقة. يضفي محيط الفندق اللطيف وقربه من أكثر المعالم السياحية جذبًا سحرًا خاصًا على هذا الفندق. يعرف TFE Hotels بالمستوى الراقي لخدماته ولباقة موظفيه، وهذا ما ستجده في Vibe Hotel Carlton Melbourne. يقدم هذا الفندق العديد من الخدمات الكفيلة بإرضاء أكثر الضيوف تطلباً. بالإضافة لهذا، تتضمن كل غرف الضيوف مجموعة واسعة من وسائل الراحة . بعض الغرف توفر حتى تلفزيون بشاشة مسطحة, سجاد, قهوة فورية مجانية, شاي مجاني, بياضات لإرضاء أكثر الضيوف تطلبًا. يقدم الفندق مجموعة واسعة من وسائل الراحة المتنوعة، كمثل: حوض استحمام ساخن, مركز للياقة البدنية, ساونا, حمام سباحة خارجي, تدليك. استمتع بخدمات لا يعلى عليها وعنوان ذو اعتبار في Vibe Hotel Carlton Melbourne . تتوافر خدمة الغرف من الأحد إلى الخميس. Room was located on the ground floor. Not such an issue but it was located to a door that was connected to the hallway if the rooms and the lobby. People just let the door slam. It is so loud that you wake up in a panic as you feel it’s at your door. I must have counted 15 slams from 11pm to 6am... didn’t sleep much at all unfortunately. I was in Melbourne due to my husband being in hospital. The Vibe and its location and facilities were perfect for my needs. More importantly, the staff were fantastic. 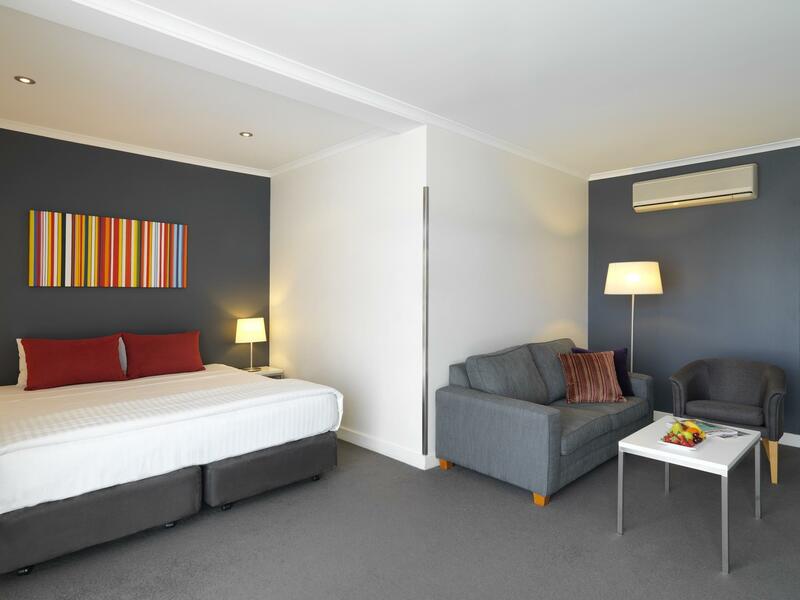 They were sympathetic and supportive of my needs during a stressful time for me, including making a room available earlier than normal check in time and assisting me to extend my booking at short notice even though it was a busy time for them with major sporting events taking place in Melbourne. I could not have asked for better service and will definitely stay at Vibe again and also recommend it to my friends. Thank you for making my stay easier. The Vibe is quite basic. The hotel feels like a small town motel in terms of vibe. Very basic and "beige" but the location is excellent. Step outside and you can go for a morning run in Princess Park or head to Sydney Road or Lygon St by foot to grab some nice food. Nice located hotel, I stayed there for three nights, very friendly two girls at the reception, my room was kept clean the whole time only issue I had is I had to move my room due to the dis-function electronic door lock, I had to move my personal staff and was given a free breakfast and free wifi for the night. 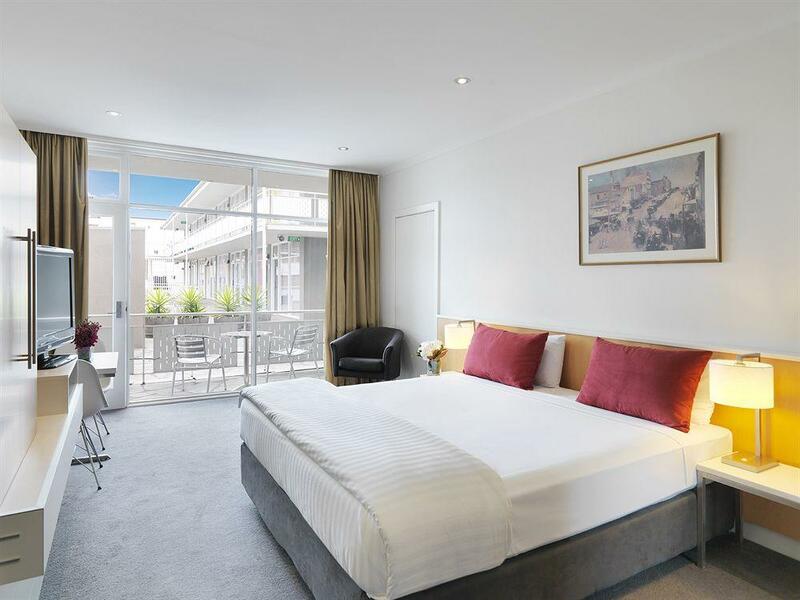 The car parking is very cheap comparing with hotels in the CBD, overall I would stay again. only challenge was getting internet access to mobile devices other than the laptops. allows only one device to connect to wifi. if this can be resolved would be an added plus in my opinion to the hotel. 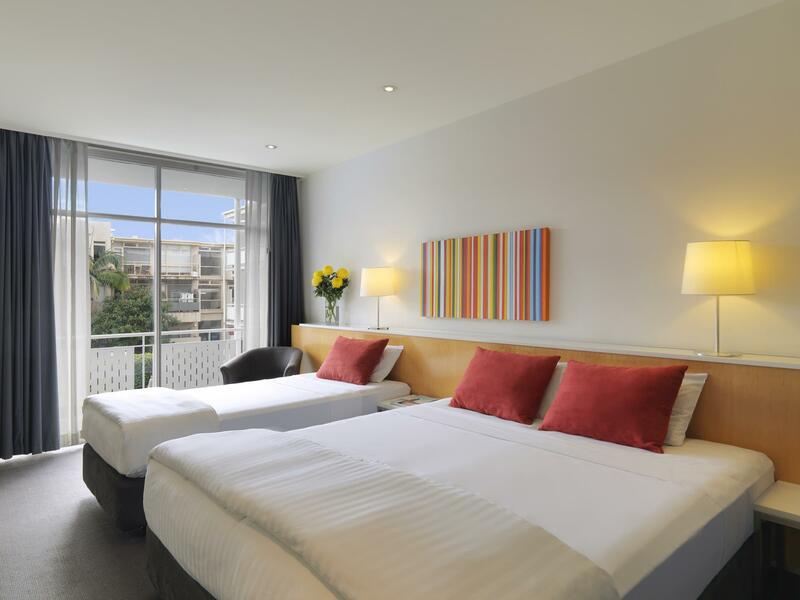 We stay at Vibe Hotel for 3 nights, we really like the north facing room with a lot of sun light. We went out most of the days and only stay at Vibe at night so we didn't really use the hotel's facilities that much even though there are gym and swimming pool. 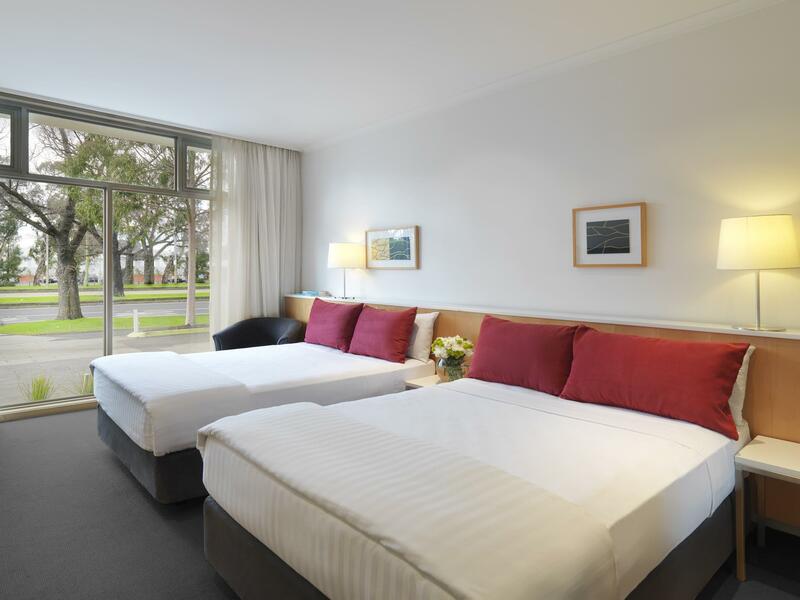 The rooms are large and clean with a mini bar, We really got a big bang for our bucks. Chose this hotel as it was within walking distance to the zoo. Beautiful location. It's located only a few mins from a tram stop which was only a 15 min ride straight to Flinders St station. Head in the other direction and within a couple of mins you reach a small shopping centre with plenty of eating options. Quiet location so was perfect for young kids at night. Pool was a nice bonus. A few negatives but would still stay there again: house cleaning were not consistent with what towels left each day, inconsistency with staff - extremely friendly or a couple reception staff didn't even acknowledge us returning through the foyer and pool tiles needed a clean. 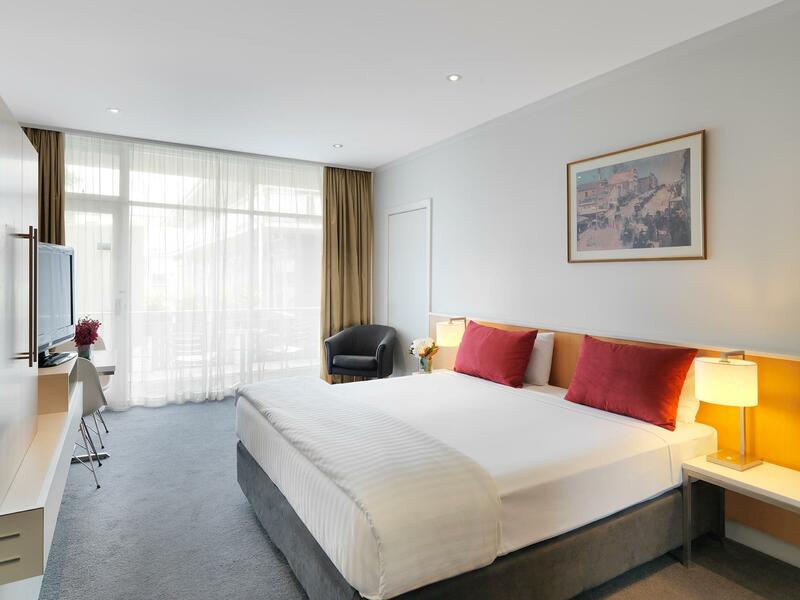 pros: great location (short walk to the zoo, or medium length walk to cosmopolitan Sydney Rd or Lygon St- and a safe area for families), fantastic staff who were very accommodating from check in to check out, great buffet breakfast. Cons: only one - if staying near pool area, it can be quite light in the room. And parking at hotel costs $10. But all the wonderful positives definitely more than make up for it. Thumbs up! Basic hotel right next to Princess Park. Walking distance to good coffee on Sydney Road. Tram to city right outside. Stay started with a warm and friendly greeting and assistance from the very efficient reception staff. Room comfortable and clean. Breakfast menu offered a good variety of choices and again very friendly staff. Close to Tram stop with regular service to/from Melbourne city. Will definitely stay again if visiting Melbourne. This is my second stay here. I like this location: it is easy to get to the city but not right in the thick of it all. Last stay I had an adjoining door which carried some noise from the next room. This time I asked for no adjoining door but was given a room at the front. This was infinitely more noisy with the trams and the traffic just outside. It's also a hotel of slamming room doors, when guests just let the doors shut themselves they slam and reverberate. If you're sensitive to noise, it's worth asking to be put in a quieter location. Paolo was an absolute Gentleman, having spent many years in Customer Service myself, I can tell you, this Staff member is GOLD. First impressions are very important and we will definitely be back. Our room was fantastic, clean, beds were so comfortable. If I was to choose one thing, I'd probably say you're pillows need to be replaced as they are very thin but apart from that, everything was fabulous. On leaving we spoke to a very nice lady at reception V...... And she was most helpful. I walked out with a coffee from you're cafe, which was absolutely what I needed and it was a really nice coffee too! Thumbs up - loved it - see you again!